Superheroes cleaned the windows at Lurie's Childrens Hospital in Chicago on Sept. 19, 2016. CHICAGO -- Superheroes surprised patients at Lurie Children's Hospital in Chicago on Monday. 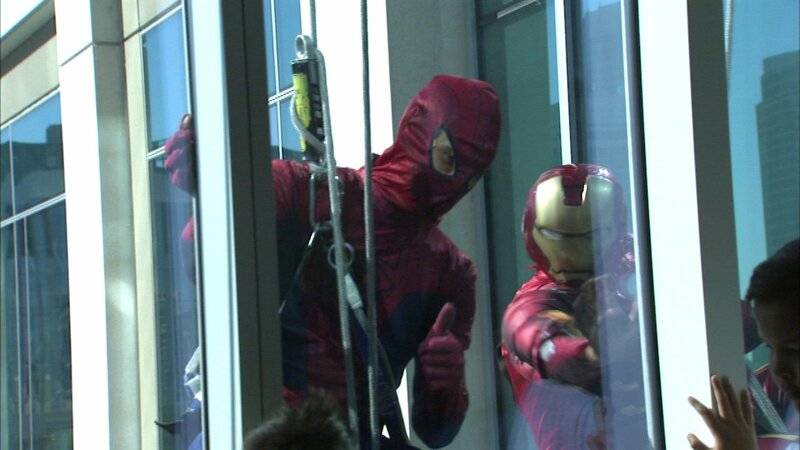 Batman, Spiderman, and Iron Man took a break from their day jobs to clean the windows outside some patients' rooms. After cleaning the windows, they stopped inside the hospital to greet the kids.